North Coast Air's dedicated personnel would be happy to assist you. 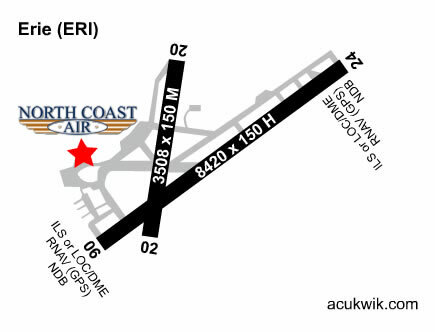 North Coast Air • Erie International Airport • 4645 West 12th Street • Erie, PA 16505 • 814-836-9220 • FAX: 814-836-9901 • E-mail Us! VAR 08° - ELEV 733 ft.